The X2 charger series features an upright design and a lightweight, plastic housing. 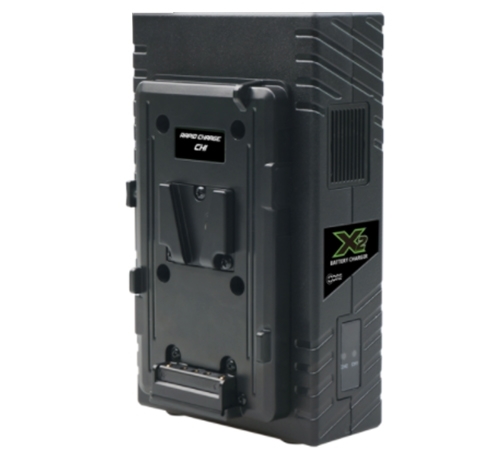 The X2 series offers simultaneous 2A charging as well a “Fleet Rapid Charge” bay. When only needing to charge one battery pack, place it on the rapid charge channel, and take advantage of Fleet series charge time (one 98wh pack in under 2.5hrs.) 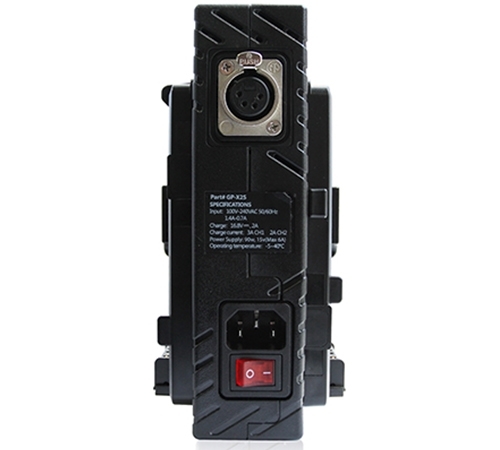 The charger is multi chemistry and includes a 90w(15A/6A) power supply, capable of powering the most power demanding cameras via a 4pin XLR output. Trickle charge maintenance program ensures the batteries are always at maximum capacity. 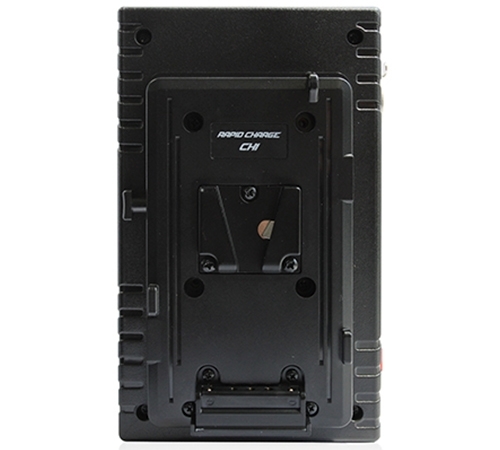 The charger is compact enough to fit into a camera bag yet versatile, addressing all batteries simultaneously. 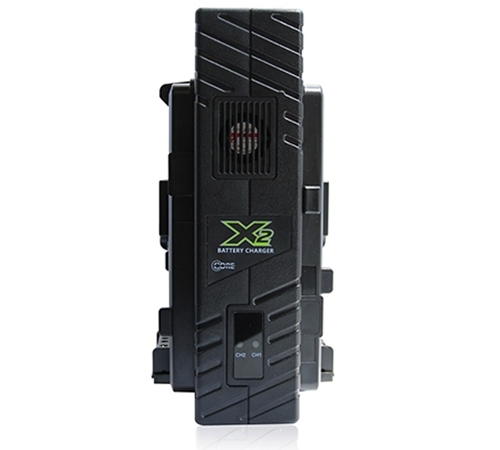 It will charge many V-Mount batteries from other manufacturers.